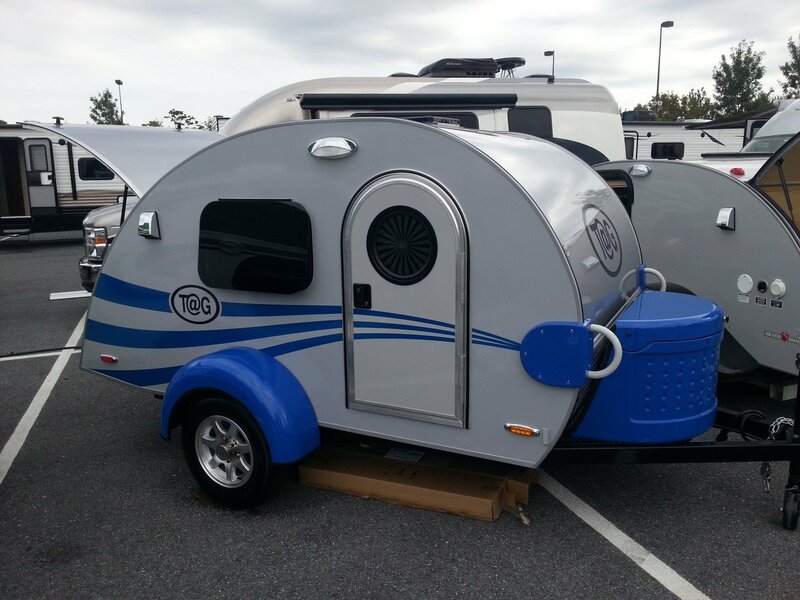 As I hinted at in late August, Little Guy Worldwide this week debuted the T@G teardrop and the myPod molded fiberglass trailer at America’s Largest RV Show in Hershey, Pennsylvania. The T@G will have optional TV, air conditioning, and refrigerator & freezer. 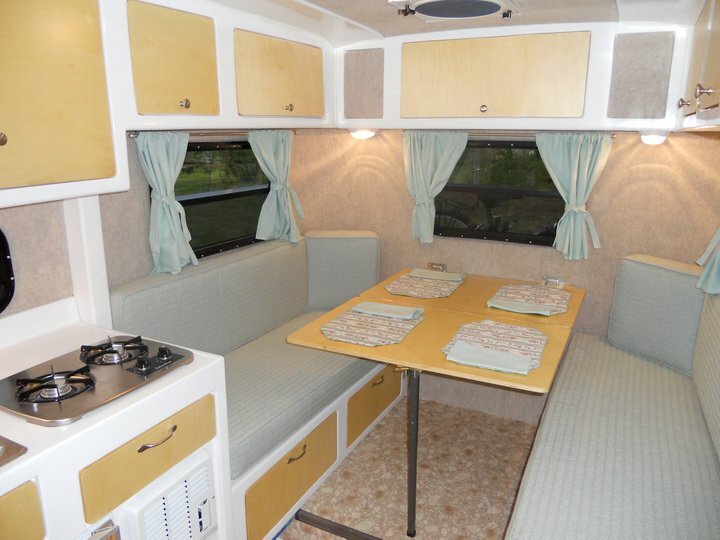 It comes standard with a queen size bed, 2 side doors, 2 side windows, a galley, and fan. With options (including the battery), the T@G checks in at 1.025 lbs and 875 lbs without options. The MSRP is $8,995 and production will start in November. No specs to report on the myPod other than the base weight without options is just over 500 lbs. Backus, Minnesota based Scamp Trailers recently launched an updated website to showcase their 13, 16, and 19 foot fiberglass travel trailers. The site is much more user friendly and makes searching floor plans and options much easier than the previous version of their website. One thing that jumped out at me was the impressive online Scamp parts store. Many of the parts pertain only to Scamps, but there are several items that fit many other trailers, at competitive prices. Notable is the 3500 lbs torsion axle with electric brakes which goes for $460. You can also download a fine 9 page pdf catalog: http://www.scamptrailers.com/images/pdfs/Scamp2013_Catalog.pdf There’s also a nice array of “how to” videos that cover various aspects of maintenance and operation of a Scamp. 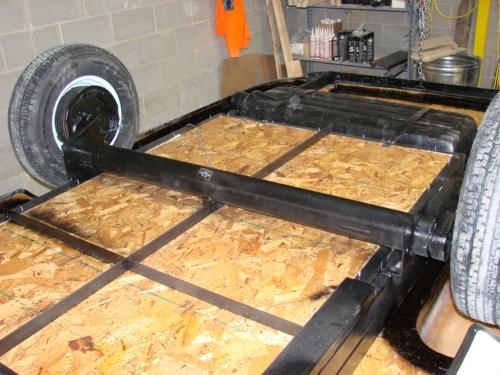 The mission of ParkLiner is simple: Build a better fiberglass trailer than the competition. Christopher Neve of ParkLiner tells us, “We have designed and created a hassle free and well thought out product. 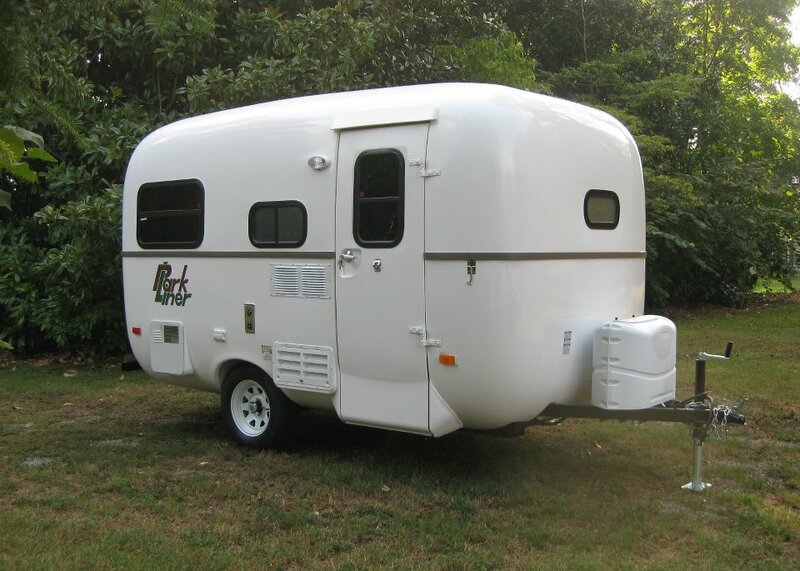 The light weight fiberglass body of the camper allows it to be towed by smaller fuel-efficient vehicles. 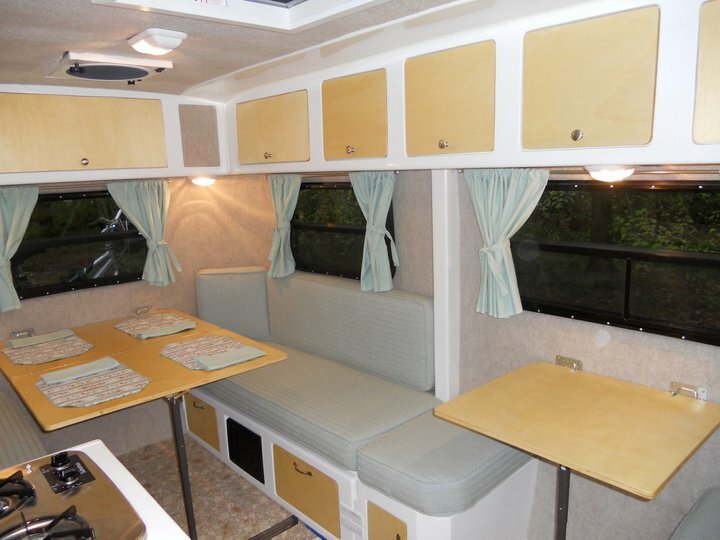 The folding table and the bunk option are a couple of ways that a ParkLiner may be customized in order to meet each individuals’ specific needs. 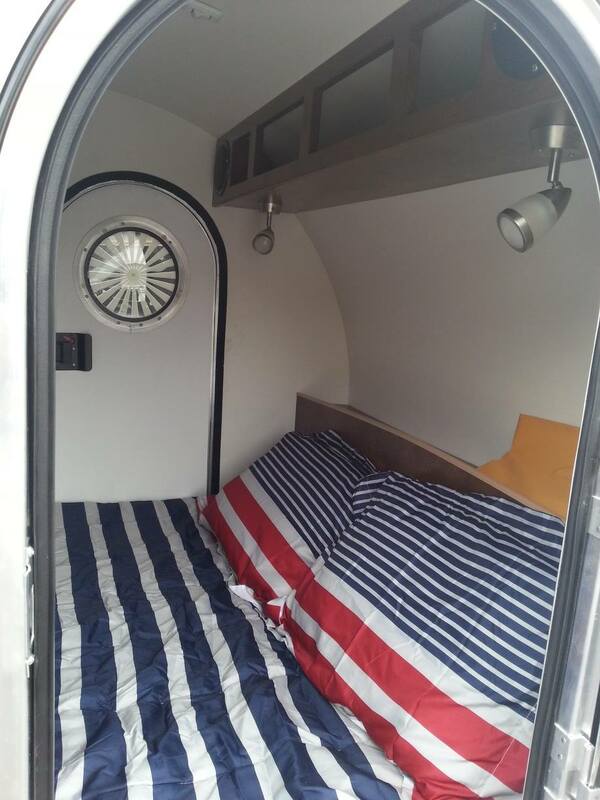 Whether you are a family of four looking for a convenient way to camp or a couple looking for a comfortable way to travel, a ParkLiner will exceed your needs.” As we’ve seen with other smaller trailer companies, they tend to offer flexibility to design a trailer to a customer’s specifications. 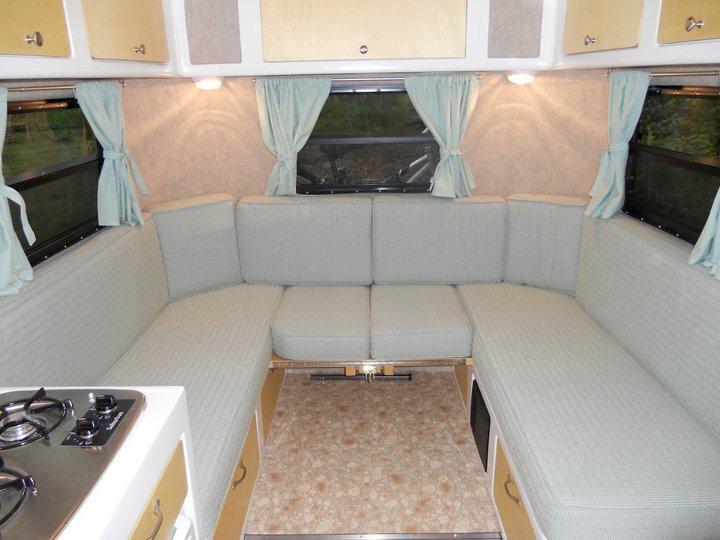 The clean look of the ParkLiner is accented by the lack of a roof top air conditioning unit. 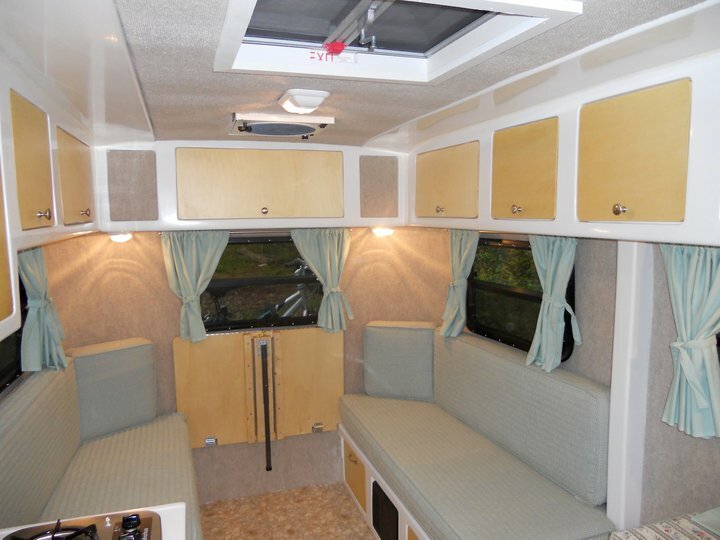 The optional air conditioner is a typical window unit mounted below the side dinette, thus keeping it off the roof and aiding in reduced wind resistance. 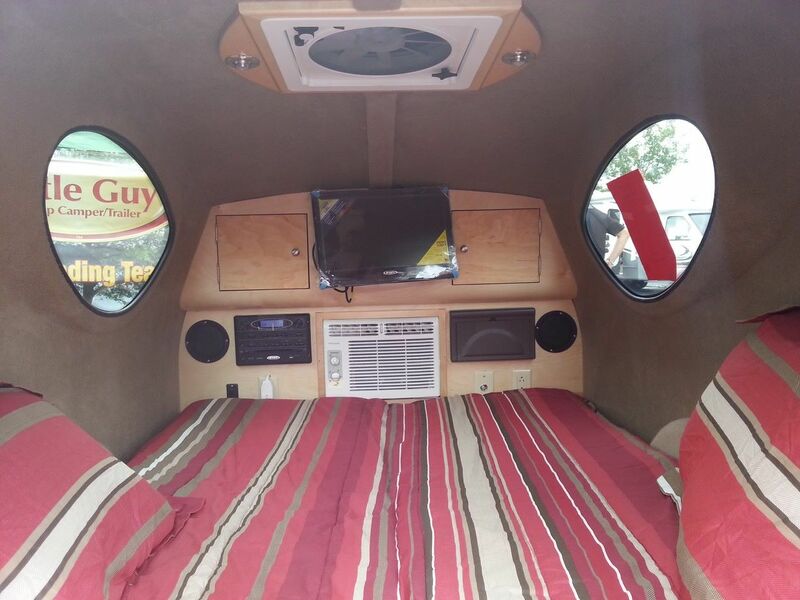 Other options include a bunk bed, flush-mounted toilet with 30 gallon black tank, dual batteries, and other goodies that will make one’s camping experience a comfortable one. 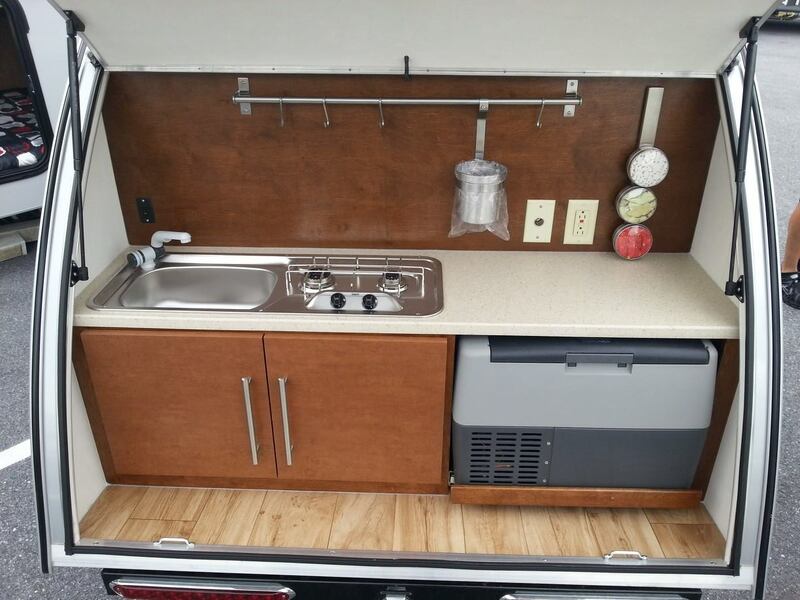 Standard features include the use of the well-regarded Optima Blue Top battery, microwave, propane furnace, 6 gallon water heater, 12 gallon fresh water tank, shower, 2-burner stove, screen door, electric water pump, bike rack receiver, and a lengthy list of much more. 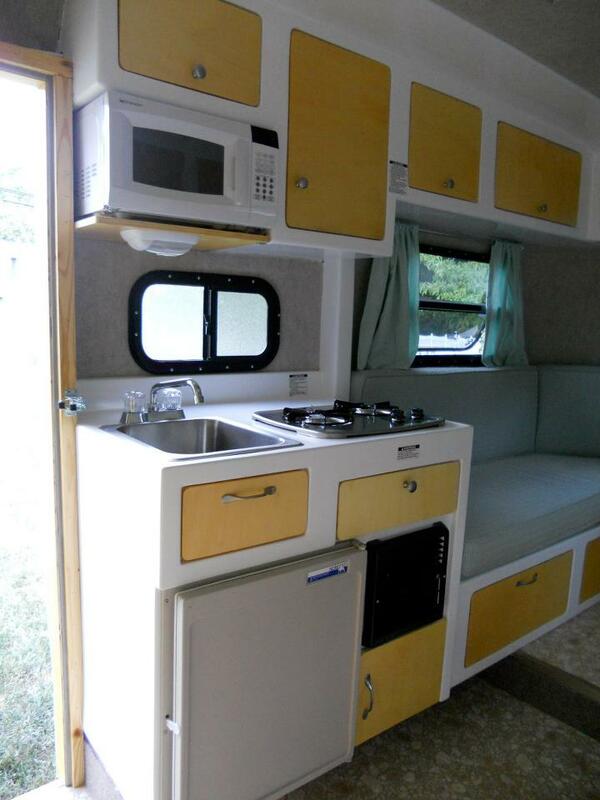 One nice feature of the ParkLiner is an abundance of overhead storage. 21 feet of linear storage to be exact, as well as more storage underneath the dinettes. ParkLiner is based in Gibsonville, NC, and uses part of an old textile mill as their manufacturing facility. They currently operate on a factory direct basis and have no plans to create a dealer network. The base weight of the ParkLiner checks in right at 2100 lbs sitting on a 3500 lbs axle with 14″ tires, allowing excellent cargo capacity for a trailer of this size. 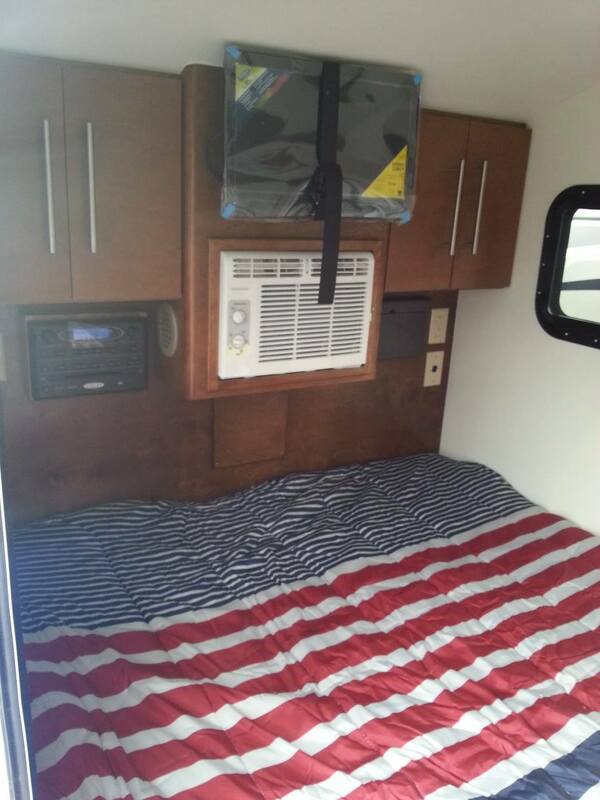 A 6’4″ interior height allows for plenty of headroom for most, and the 6’7″ interior width should result in a good amount of leg room when in bed configuration. 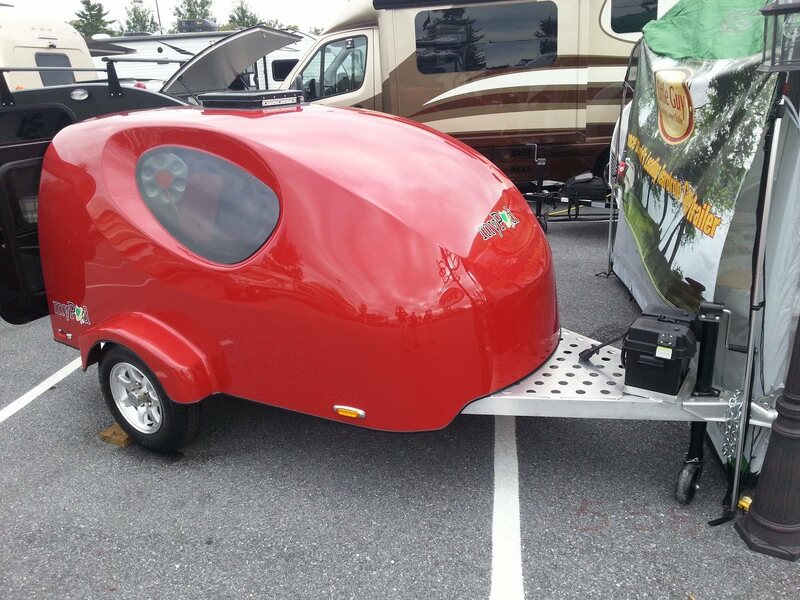 The 2-piece fiberglass trailer shell has an interior length of 12′ while hitch to tail is 15′ long. Depending on options, one can fetch a ParkLiner for somewhere between $14,500-$17,500. ParkLiner is using its highly detailed website as a springboard for prospective buyers. 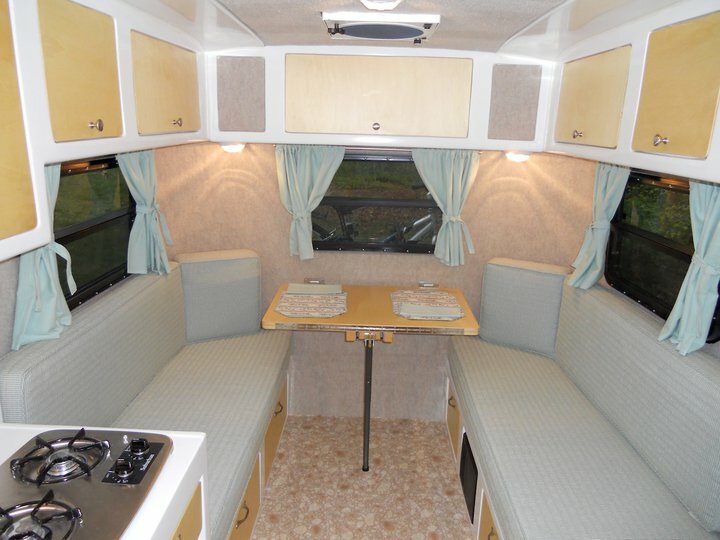 Their active presence on Facebook is also being used to complement their website by giving up-to-date changes as well as a source for more photos and discussion with those interested in learning more about the ParkLiner. It’s going to be fun to see this company grow in the future. They seem to have all their ducks in a row by starting off small and working their way up. It doesn’t hurt having a similar product to other manufacturers like Casita or Scamp, yet still offer upgrades they don’t. This opens the door for the many fans of “egg” campers to have a fresh alternative.